Ready To Ship: Between Apr 25th and Apr 26th. 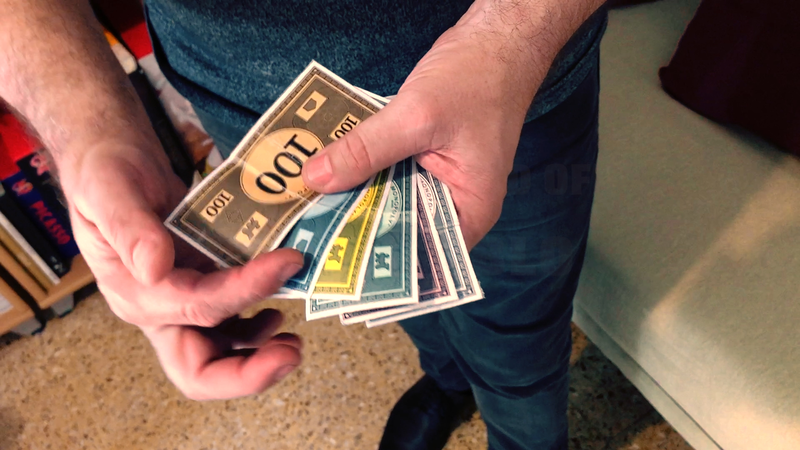 Imagine having small Monopoly bills and being able to transform their value and also their SIZE! Then clearly show each of them, one by one, followed by handing them out for examination! And if you want, you can go backwards in a more visual and instantaneous way as if everything had been an illusion! You can transform real euro bills by increasing the value and size of each one as well. Then, slowly and clearly go back to show that you can do it as many times as you wish! A new method that is very easy to do, without angles. It resets in seconds and you can even bet small fake toy bills and transform them into real money! And as if that were not enough, if you only have high denomination bills, you can get change in the blink of an eye! Available in dollars, euros, monopoly, pounds, yen or you can adapt it to any currency bills. You can be prepared on any occasion to prove once and for all that real magic exists and that Size Does Matter! Really fast processing and shipping of my order. MJM Magic has great products, prices, and returning customer discounts! Thank you!